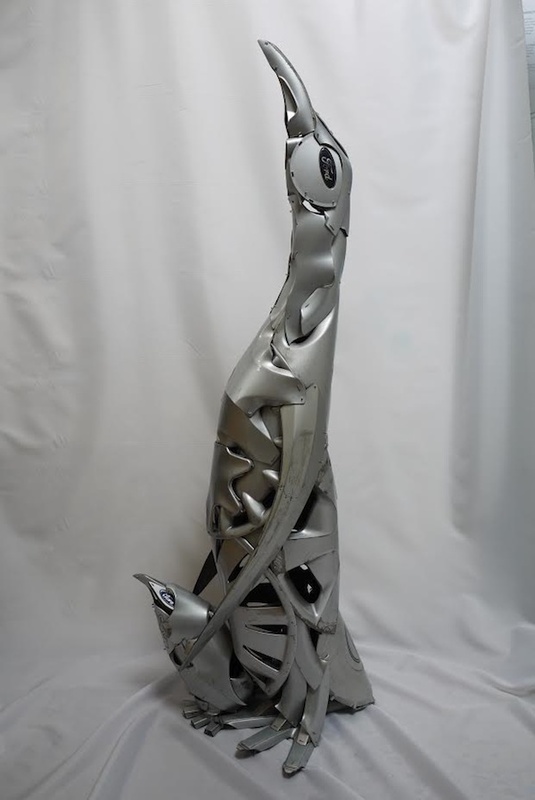 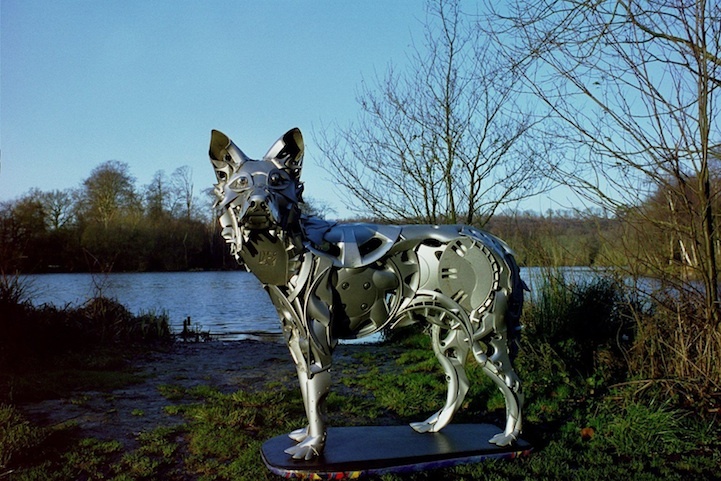 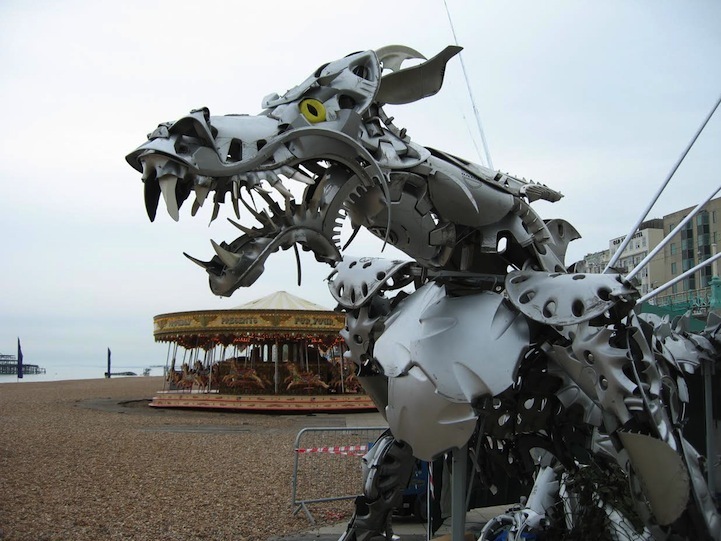 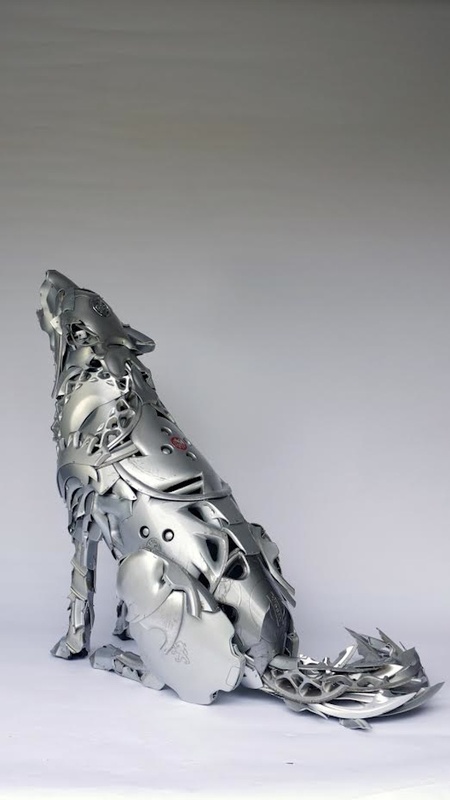 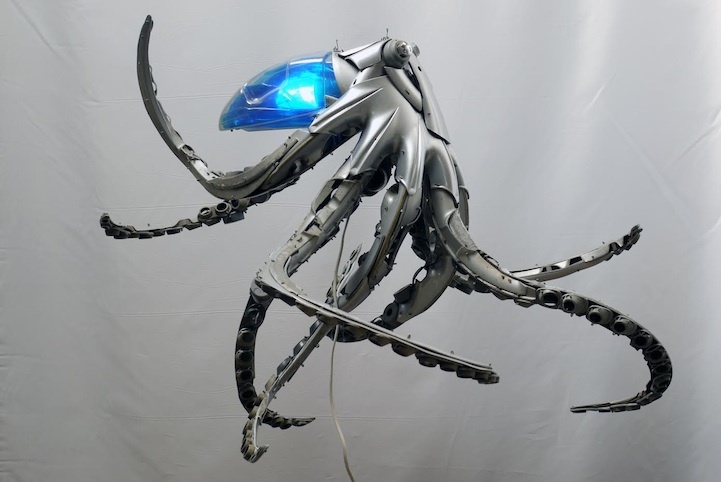 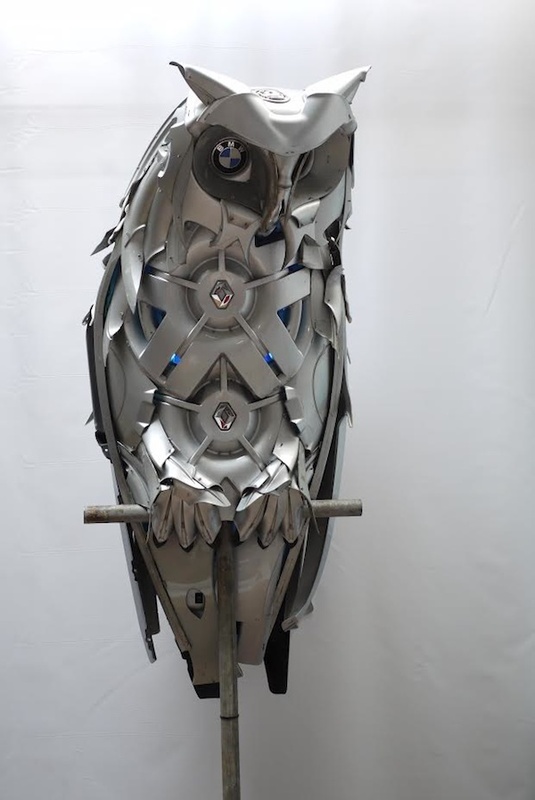 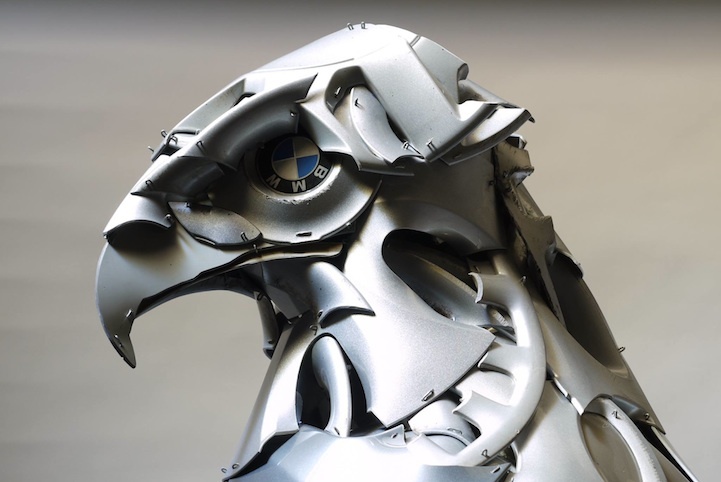 Brighton, UK-based artist Ptolemy Elrington has been transforming old car hubcaps into amazing animal sculptures for the past twelve years. 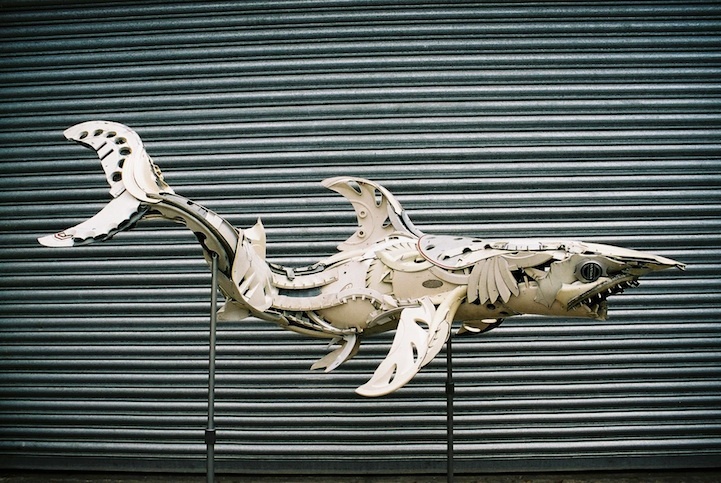 He forms the plastic into everything from the eagle you see above to fishes, sharks and even a dragon. 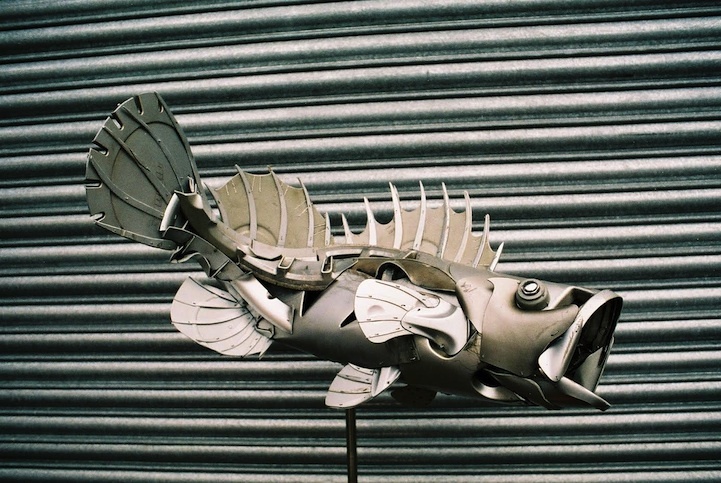 Elrington says, “I like to work with reclaimed materials to show that what is one person’s junk is another man’s treasure. 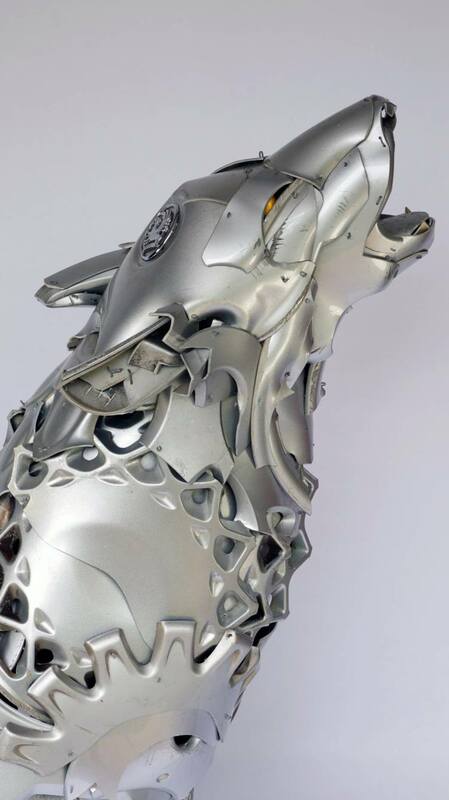 If you go too small you lose the materials’ identity and if you go too big it looks remarkable like a pile of hubcaps. 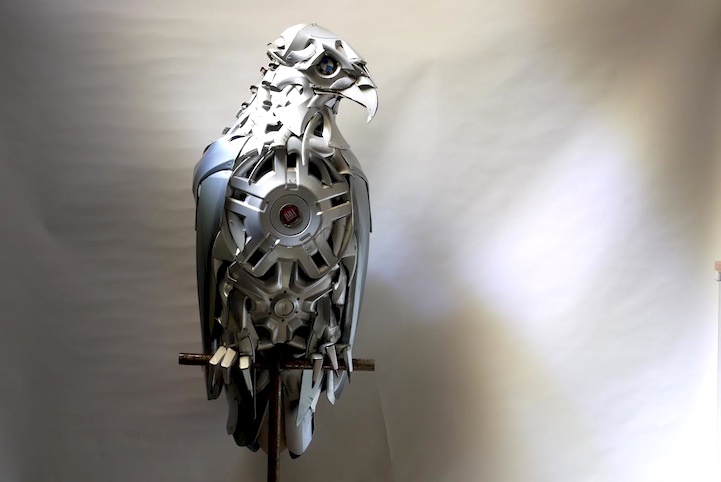 I’ve made a few large scale hubcap sculptures and I’ve struggled a bit with that.” Continue reading to see more.